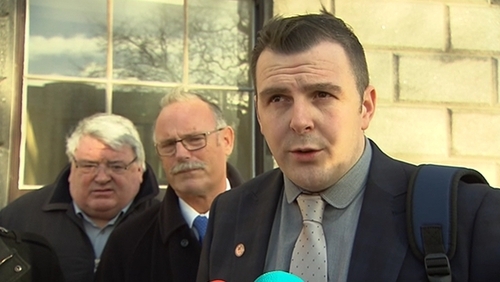 Fianna Fáil activist Brian Mohan has won his Supreme Court case over a challenge to a law linking State funding of political parties to gender quota targets for general election candidates. The case centred on his entitlement or standing to bring such a challenge. The High Court and Court of Appeal found Mr Mohan did not have the necessary legal standing to challenge the legislation. They found he was not directly affected by the legislation, his own party had not challenged it, and he wanted to rely on the right of any political party to challenge the legislation. The Supreme Court decided this issue raised a matter of "general public importance". In the judgment delivered this morning, Mr Justice Donal O'Donnell said the court considered that Mr Mohan had standing to bring the case. He said that the indirect nature of the impact on Mr Mohan of the legislation was not a basis for denying him standing. The court found that Fianna Fáil or any other party could challenge the legislation and had not done so. But the fact that one entity had legal standing did not necessarily lead to the conclusion that someone else did not. The Supreme Court has now sent the matter back to the High Court for a full hearing of Mr Mohan's challenge. Mr Mohan had hoped to get a nomination for Fianna Fáil to contest the 2016 general election in the Dublin Central constituency. He was one of three prospective candidates and was the only man. He got a letter from the general secretary of the Fianna Fáil party in September 2015, containing a direction that the candidate selected must be a woman. The legislation provides for State funding of political parties subject to certain criteria. One of the sections provides that payments due to a party will be reduced by half if gender quota targets for candidates are not met. The provision was introduced, the Supreme Court said, to address the "historic underrepresentation of female candidates in the Dáil and increase the number of female elected representatives." On twitter, Mr Mohan said he was "over the moon" and always knew he had the right to take the case.